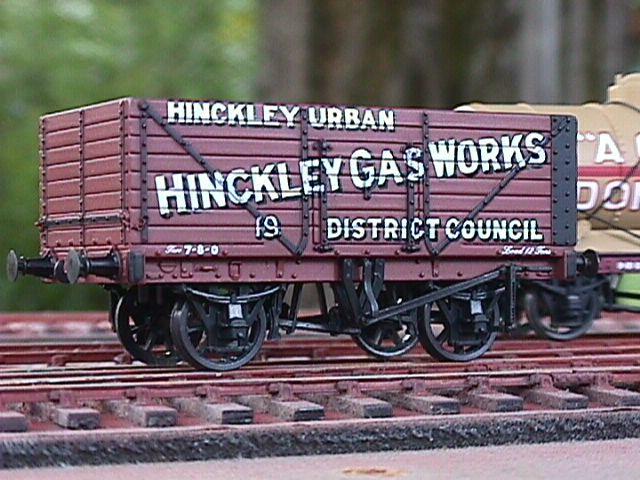 These wagons are a quick re-wheeling exercise on out of the box wagons. No other changes have been made, save removing the couplings. The trickiest bit about this one was getting the sub-floor out, though on reflection this operation may not have been necessary. It will be, though, if you want to get behind the buffer beams to make any changes to the buffers or couplings. The solebar is part of the body moulding, so you have to decide whether to separate the brake gear from the solebar, or at the pivot behind the centre hanger. There was clearly plenty of glue around the hangers on this example, so I chose to go the solebar route, levering the pins out gently with tweezer tips. One out of the six pins broke off, but it made no difference once it was reassembled. Much better is to find a 26mm axle that's a bit short, and then wipe the points with fine wet-and-dry, 800 to 1200 grade, constantly checking, until you have nice little domed ends on an axle about 25.6mm long. These domes prevent the axle point cutting through the relatively soft axlebox plastic too quickly. This done, all that remains before reassembly is to pare off the stiffeners behind the w-irons with a good sharp scalpel until the rear face is flat n'flush. 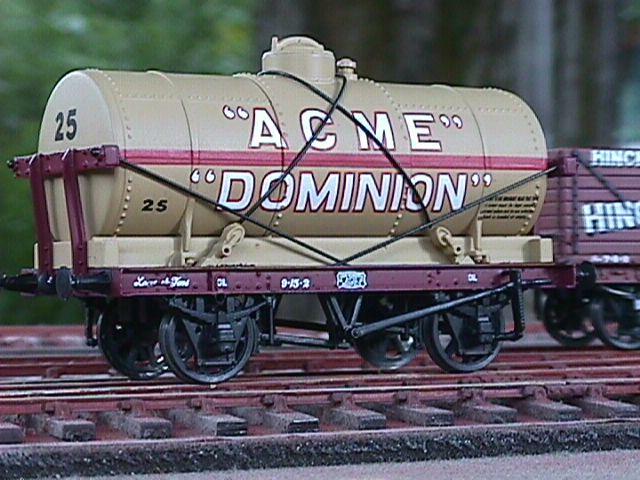 This wagon has plain straight 26mm axles. On this one the solebar is part of the underframe moulding. The body needs to come off. After popping out the wheelsets, and removing the retaining screws, the body can be levered off complete with the end stanchions. The majority of the work on this one is the removal of the stiffeners from behind the axleboxes. They are much more substantial than those on the 8-plank open. Prem loaned me a very coarse swiss file (no. 6 cut?) which made short work of it. With a scalpel, a small fillet of plastic needed to be removed from the top of the brake hanger near the wheel opening, and a little material had to come off the backs of the not-quite-in-line brake shoes to clear the flanges. That done, the replacement wheelsets just dropped in. I should have been tempted to very gently polish the pinpoint tips to make sure there are no burrs, but I didn't bother. They both ran as well as rigid wagons can. On Green Street, the 8-plank came off on the wagon brake on the tippler because it wasn't heavy enough, but other than that, no derailments at all.